Last week I attended the North American CF Conference in Salt Lake City, Utah. After I'd gone last year, I made it my mission to attend every year until the value of having patients present was fully appreciated and I'm happy to report that we're getting there, but we still have a long long way to go. There were actually a few sessions this year specific to the value of including patients and families as a part of the care team, partnering together to improve outcomes and changing lives. My goal, leaving the conference this year, is to find some ways to quantify the value that patients/parents bring to the table and share with all 4,000 attendees next year how I believe that the missing puzzle piece in this quest to cure cystic fibrosis is us, the very people living every day so desperate for a cure. On my way to the conference I started to read a brilliant book called "Critical Decisions" by Peter Ubel. It is a passionate plea for patient empowerment with quotes like "The new revolution in medicine needs to be less about power and more about partnership. The best decisions are often shared." and "We won't achieve true shared decision making until we prepare physicians to interact with prepared patients." and "Modern patients have a duty to be informed in health care decisions." That last one really got me thinking. You see, the NACFC isn't open to just anyone. It's a conference held for 4000 or so doctors and researchers and other clinicians, but not specifically for patients or families. We're not totally excluded but it certainly isn't encouraged and definitely not made easy if you decide you want to go. There are some hoops that you can jump through to get yourself there, if you have the $575 to pay your way or are lucky enough to have someone offer to send you. The purpose of the conference is to share the latest and greatest in scientific research with others in the field to make better informed decisions regarding the health of CF patients and ultimately find control of and a cure for this disease. There's no doubt in my mind that that is going to happen, but without the participation of the ultimate stakeholder, the patient or the people that are fighting for them (families), it's going to take a lot longer. "Modern patients have a duty to be informed in health care decisions." There was so so so so much valuable information that I came across at this conference that isn't available for others in the CF community, unless of course they paid their way and got the book of abstracts and sat through endless talks full of medical jargon that had even the most brilliant physicians googling terms. It's not fair that I, having fought and pushed and proved my value to our clinical team to the point where they sent me, am the only one who knows all of this stuff that could be life changing for so many. Stuff like the re-introduction of Atalauren to the drawing board for nonsense mutations. That, my friends, is hope for some people in some hopeless situations. 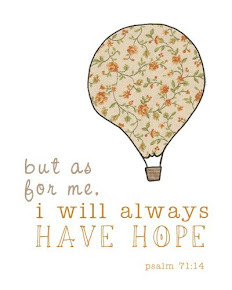 And hope can carry you a long way. But no one knows about this but me and a handful of people who follow me on Twitter. Sure, many clinicians now know too, but there has to be an appropriate context for them to bring this up with their patients, all the while balancing the plethora of other valuable information that they think is important for their patients to know. I learned about the dangers that inhaled corticose steroids pose to CF patients, increasing the risk of culturing non-tuberculous mycobacterium 5 fold, while really showing no signs of reducing inflammation in the CF airways. That's important, and perhaps even life changing for some. But unless you were a doctor or one of the few parents or patients privy to that information shared during one of the sessions at the NACFC, you are still in the dark, and that's not acceptable. Doctors cannot know it all. Patients have a duty to be informed in their health care decisions, but as ePatient Dave says it best, "It's perverse to keep people in the dark and then call them ignorant." It is the patients themselves that have contributed to and participated in the research that these brilliant doctors and scientists are doing, but yet we do not have access to it. Bob Beall gave a heartfelt "thank you" to patients and families, for without them we wouldn't be where we are today. I propose a "thank you" and a program next year, sharing with them the very research that they enabled. The research will go farther, the puzzle one step closer to completion, if you embrace patients as partners. I can almost guarantee you that I was one of the few who read nearly all of the 600 or so abstracts combined into the program that was the 2013 NACFC. Doctors don't have time to do that nor should they be expected to. Researchers don't have specific interest to do that, looking at the things that are relative or important to them and then moving on. But I, the parent of a patient with an incurable, life shorting disease, I don't have time not to. My ears listen carefully to every option, every alternative, every mild suggestion that there might be hope. My exhausted being and worn out kid try novel approaches and treatment options, in clinical trials and independent of them. Our doctors are deciding what information to share with us, some more than others, some better than others. Some share all of the knowledge and options that they know of, but it's impossible for them to know it all and it is our duty as patients to seek out what we need and work together with our clinicians to help ourselves and to help others. I overheard a conversation between two (i'm assuming) doctors that was narrow minded and disheartening. During a presentation on the role of viruses in a pulmonary exacerbation, the speaker, who probably had a degree in some sort of medicine that I'm not even able to appropriately pronounce, was getting slightly deep into molecular biology and from the tone of the conversation in front of me, somewhat off topic. The one doctor said to the other, "This guy needs to move on. If people want to learn about this they can find it in the journals." But we can't! We can't find in in the journals because we don't always know what we're looking for. And with all of the information being shared here, these doctors and researchers aren't going to have time to do it, if they even remember to! And "the journals" cost money, something like $15/article. It's like our co-pays, no big deal to most families just needing to refill a prescription here and there, but our co-pays are over $6,000 every month, so yes, I will find ways to alleviate the burden and get us access to what we need because not doing anything is simply not an option. Putting this incredible information into journals and then storing them in a vault is not doing us any good. All of this work that I'm doing to design a collaborative chronic care network for Cystic Fibrosis is for reasons like these. We "patients" are finding ways to get what we need. We are organizing ourselves and talking to each other and we are asking clinicians and researchers and other stakeholders to join our conversation since we haven't been invited to theirs. Everyone is so afraid of taking that risk, worrying about patients taking something out of context or their identity or reputation being tarnished because of something going wrong online. I can appreciate those fears, but I implore you, take the risk. Dr. Wendy Sue Swanson said it best at MedX during a Masterclass on engaging through social media - If you're a moron in real life than you're going to be moron online. Don't be a moron. Why am I the only person who doesn't seem to be afraid of things going wrong, but rather looking toward the possibility of all that could go right. What if my patient reported data could be appended to some highly clinical research to bridge that gap and complete that understanding, leading to the development of new treatments and therapies and ultimately curing this disease. Again, I implore you, take the risk! I overheard another clinician speaking about how it's their (clinicians) responsibility to educate patients on how to do different treatments and that if they're not doing them appropriately then it's a failure on the clinicians part to appropriately educate. What if the patient understands perfectly well all about the treatment but just simply doesn't want to do it? I will agree with that doctor that it is a failure, but not a failure to educate. Rather, it is a failure to engage and empower and embrace that patient as a partner in their own care so that you together understand the relationship and how you can work together to preserve health. If I create data and you create data and we share that data with one another and then we are able to identify things in our data, and then we get his data and her data and add it to our data, before we know it we have our own little research going on. The value of that data shouldn't be diminished. We control our research because it's our data. The data that researchers have is technically our data too, but somehow they own it and we can't always get it back. So we (patients) started collecting data on our own and learning things about ourselves, individually and collectively. Since we can't access all of the brilliance that already exists, we are accessing what we can and are making informed medical decisions with it. Just imagine how much father we could go if we put this all together. It is not rocket science, but rather an activity taught even to my preschoolers and it's called teamwork. Toward the end of the conference I was speaking with some folks from a variety of positions of power and influence in the CF community, both within and outside of the CF Foundation. Both asked the same question - what are we supposed to be doing? How do we engage patients in ways that are appropriate and useful? How do we curate information for our patients and families? How can we be truly helpful? My answer to them was simple: Take a risk. Join us. Participate in our conversations. Listen to our feedback. Embrace us as partners, not recipients of some service or tool that you offer. Show us that we are truly in this together by holding our hand and combining our efforts and working together to create and test and implement tools and solutions that will aid in the development of a cure for this disease. I hope that they took me seriously because I meant it. There's so much more that went on at the conference of value to me and to patients and their families that I don't even know how to put it all down on [virtual] paper. But I'm putting out there right now that I want to help you. I have the resources from the conference. I would love to help whoever needs my help by searching through the abstracts and posters to find any information that might be of value to you. Email me, tweet me, Facebook message me. I will try to put as much important information out there as I can, but if there is something that you're interested in or scared about or just wondering if there was any discussion around, please ask me. I want to help. I believe that we are the key to the cure. Drew has been culturing Achromobacter, an antibiotic resistant bacteria, in his lungs since January. We have had several hospital stays, a couple of procedures, endless antibiotics and even more cultures done in our quest to tame this beast. It's not causing any terrible harm, as far as we can tell, yet. His CT scans don't look any different than they did two years ago and he is growing well. It just seems to cause this little, annoying, lingering cough to pop up from time to time and it won't go away without antibiotics. And when it comes, he doesn't want to eat. But he needs to eat, and a lot. Drew has been off of antibiotics for no period of time longer than 2 weeks since last January and that's terrifying. You see, he's only three years old, and if we pull out the big guns now to fight this, I'm afraid we won't have anything left in our arsenal when we really need it. There is an abstract in the 2013 North American CF Conference Program that states, " Once colonized, achromobacter appears to lead to a significant decrease in FEV1 and increase in hospitalization rate. An average decrease of 16% of FEV1 over an average of a 48-month period was observed." He's too young to do PFTs to determine his FEV1, but let's suppose he's at 100% today. By age 7, his lung function would be at 84%. By age 11, down to 68%. Before he is 20 years old, if Drew continues to grow Achromobacter, his lung function would, theoretically, be down to 36%, low enough to place him on the transplant list. As I've spoken about many times on here, I track everything about Drew in an attempt to learn more about him and about his CF and how his CF compares with the CF that other people have. It's such a unique disease in that everyone is affected differently. I've been tracking using PersonalExperiments since early this spring, and have gotten some very useful data. This data, in fact, even helped to prevent an admission at CHOP this summer. I scour the internet and medical books looking for answers that could help to explain different aspects of this disease that I don't always understand or don't agree with. I look for novel treatment options and I take what I find to his doctor. When I ask her questions, she does her best to answer, and always offers to help me to find the answers that she doesn't have. I go to conferences, I talk to everyone I meet, desperately hoping that someone will mention something that brings me to my "Ah-ha!" moment and I can solve this mystery and put CF behind us. I push our team at Cincinnati Children's Hospital to move faster and work harder to try new techniques that, for me, have provided insights that are changing things for us. If they work for us, they can work for others, and the new learning that will pour forth could be eye opening to even the most distinguished doctor or scientist. I'm talking about insights that I, the patient, bring to the equation. 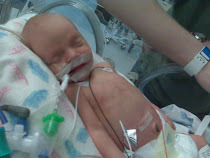 When Drew first grew Achromobacter last winter, we immediately tried IV antibiotics. Even though this bacteria is antibiotic resistant, sometimes some antibiotics work. For Drew, the IV's didn't. After the IVs we tried an inhaled antibiotic for 30 days, to no avail. From there we repeated our course of IVs with different antibiotics followed by a bronchoscopy, a CT scan, and more IV antibiotics. The achromobacter remained. At this point we were resigned to the fact that Drew was colonized with this bacteria and it was unlikely to ever leave him. That did not mean that we would stop our fight against it. We decided to start cycling him 30 days on/off an inhaled antibiotic, as many with CF who are colonized with a bacteria do. The idea is that if we can't get rid of it, we try out best to suppress it and keep it from causing more damage. When Drew was on an antibiotic he was symptomless, but once we came off, the symptoms quickly returned. During one of our early 30 days cycles, we noticed that his symptoms would go away for about 15 days and then start to return, even as we remained on our antibiotic. It was easy to keep track of this with the tools I was using. We decided to try another angle, 15 days on one inhaled antibiotic and then switch to another for the next 15 days. That technique managed to suppress symptoms for almost 30 days, but the cultures were still showing that achromobacter was there. At this point, we were no longer really trying to eradicate, but rather trying keep Drew symptom free. The 30 day cycles split between two antibiotics seemed to be our best bet, but after the 30 days was up the symptoms would immediately return. We took another angle and thought that maybe because of the severity of his tracheomalacia and the propensity of these inhaled antibiotics to cause bronchospasms and a degree of airway reactivity that he wasn't actually inhaling as much of these medications as we thought or as necessary to control this bacteria infection. We decided to do 90 days on inhaled antibiotics, alternating between two different drugs every 15 days. For 90 days, Drew was symptom free (except for a brief stint during the summer when he got rhinovirus). When we cultured in early September, the achromobacter was still there. We decided that it was time to just run with the idea that we would keep this bacteria suppressed as best we could by cycling 15 days on/off of an antibiotic that seemed to really best control his symptoms, despite his achromobacter being totally resistant to it in the lab. We began our first 15 day cycle in early September and Drew was happy and symptom free. He started school without incident and continued happily about his days with his cough nearly non-existent. On the last day of our 15 day "on" cycle, I happened to be looking over the data that I had been collecting on him and realized that the only combination or course of inhaled antibiotics that we hadn't tried was this one particular drug for a straight 30 day course. We had done it on and off for 90 days in 15 day increments with a second antibiotic mixed in. We had tried other antibiotics for 30 days straight. But the use of this particular drug for a full 30 day course hadn't been tried, and I, with agreement from his doctor, decided that we needed to at least try. I was the one who had decided to cycle him 15 days on/off because there was evidence in the data that I collect on him that his symptoms seem to return after 15 days. I was also the one who, desperate to try anything that we hadn't already tried, decided at the last possible second, to continue our first 15 day "on" cycle and turn it into a 30 day "on" cycle. I had agreed with the doctor that if this didn't produce different results that we would have to turn to either 30 days on/off or 15 days on/off, that he couldn't simply remain on antibiotics nonstop, forever. So we pushed through, for 30 days, 3 times a day for 30 minutes on top of the 3 times of day for 30 minutes that we were already doing for normal, routine, maintenance medications. We were spending nearly 3 hours a day every day doing treatments. Drew hated it. We hated it. But we saw a clean culture! We got a clean culture, a culture that showed no growth of achromobacter, our first since last January.We weren't going to announce this initially. We thought we would keep this information to ourselves until we had a second confirmed culture free of achromobacter. 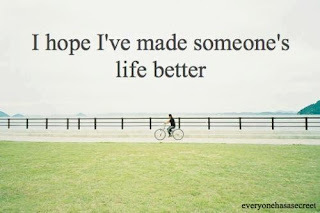 But in the world of chronic disease, we celebrate the small things. The next day Drew got the cold that everyone else in this house had been fighting and the achromobacter came back. I know it wasn't really gone, but it was suppresed, and the extra mucus from his cold just stirred everything up and the bacteria is back and causing problems once again. We're back on the antibiotics, going to cycle now 15days on/off indefinitely. Because we were able to suppress it to the point that it wasn't showing up on a culture, albeit for short period of time, I will push forward on my mission. I will continue to try in whatever ways reasonable to keep it from causing him any harm. I will not accept a lung function decline of 16% every four years. But a clean culture is a clean culture, right? A small win, even for just a very brief period of time, is still a win. We will fight on! Patients Included: But Are We Respected? PCORI was founded under the ACA to fund comparative effectiveness research that improves the information available to patients in a meaningful way. Specifically, PCORI has two goals: further engage patients in research design, and reduce the gap between research results and patient knowledge. The CDRN opportunity grants institutions money to develop a large multi-million patient data warehouse for researchers (from around the country) to conduct research - both prospectively and retrospectively. PCORI will fund seven of these networks around the country to form one national network. If awarded the grant, our team would like to offer you a role as a Cystic Fibrosis Community Workgroup member. While this particular position will likely be unpaid, this is an incredible opportunity to directly influence the research efforts around CF and will provide you with access to cutting edge researchers in our city. Is my time and participation not valuable enough to compensate? Later that week, I packed my bags and headed to MedicineX in Stanford, California, a conference that positions itself as a catalyst for new ideas about the future of medicine and emerging technologies. At this conference, there were patients and clinicians, caregivers and technologists, entrepreneurs and researchers and others from the industry. It’s difficult to explain the experience of being at a conference so full of energy, excitement and hope for better care of rare diseases and chronic conditions, better interactions with the healthcare system, and how the only way to improve is collaboration and teamwork, valuing and trusting one another, in every single possible way. During the first day of this conference, PCORI -- the organization offering the grant mentioned above -- was presenting a panel on the importance of involving patients in research. I wondered about the offer I had received: Was it the institution that could not offer to compensate me for my time? Or PCORI that isn't accommodating patients who participate in the research by appropriately and fairly compensating them? Or maybe just not all patients? Some view the amount that I work to improve health and care in Cystic Fibrosis as remarkable. I view it as necessary. If I had endless capacity, I would do it all. But remember, I have a seriously and chronically ill child that I am caring for, in addition to 3 others, and a husband, and a couple of fish. Unlike many researchers, I don’t have an institution or grants paying me a full time salary to participate in such research. My reaction: Don't take advantage of the knowledge and experience that I have that you want and need to create a system that works for me. Appreciate me, and embrace me just as you would any other member of your team, and just watch how far we can go together. A huge barrier to true patient-centered care is the failure to see patients as equals to the other contributors in this system. Let's not forget than in medicine, the patient is the only one who is expert in her experience. Should the hospital that offered me the position in their workgroup receive the grant from PCORI at the end of the year, I will participate and my participation will not be in vain. I said yes, regardless of compensation status, because I know and appreciate the value of this project. I have a unique perspective to bring that I believe will add value to this research and benefit others in the community. I said yes, because so many other people who have expertise and passion and value to add don't have the time or the voice or the energy to do it. I believe that our story, in the end, will be one of success. But to quote an incredible patient and advocate that I had the great pleasure to meet in person this weekend, "Not every medicine story can have a happy ending. It's not the ending that makes it a success." How much farther and faster could this patient-centered research go if it weren't so hard to be a part of it?